Moses limped off in the first half and joins an injury list that already contains Alvaro Morata, N'Golo Kante and Danny Drinkwater. Things are not going according to the script for Chelsea coach Atonio Conte at the moment and the addition of Victor Moses to the Blues' injury list is disturbing for the Italian gaffer. Conte lamented Chelsea's worsening injury situation after Moses damaged his hamstring against Crystal Palace, albeit he admitted that his team played woefully nonetheless. The Nigerian star limped off in the first half and joins an injury list that already contains Alvaro Morata, N'Golo Kante and Danny Drinkwater, a situation that is frustrating boss Conte. "I think, in this moment, for us it's a very difficult moment. When you start a game without Morata and without Kante, it's not simple," Conte began in his post-match news conference. "Above all, if, during the game, another important player in your team has an injury too like Victor Moses ... I hope to have him back very soon because this moment is very difficult for us. "To lose three or four players, it's a big problem for us. But, despite this, we have to find the will to fight. 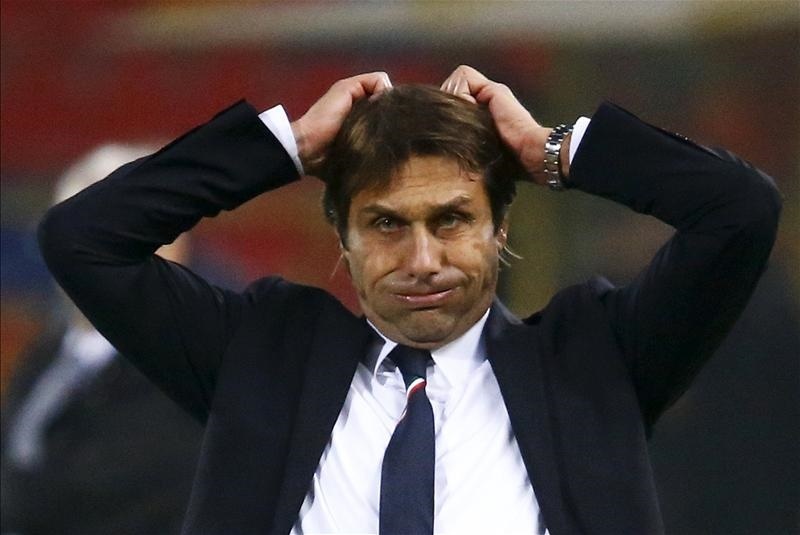 I think this season will be very difficult" Conte confessed. With Saturday's loss, Chelsea are now seven points adrift of top placed Manchester City.